Hope you all are having an excellent weekend! I’ve been busy plugging away trying to get some new things to share with you all. I also have a giveaway coming up soon, I am still waiting for the product that I asked to share a review/recipe with you all. It’s finally in the 50’s where I live and with all of the holiday activities going on in town it has been taking me much longer than normal to get to places. I have a Citrus Steeper I am happy to share with you all. 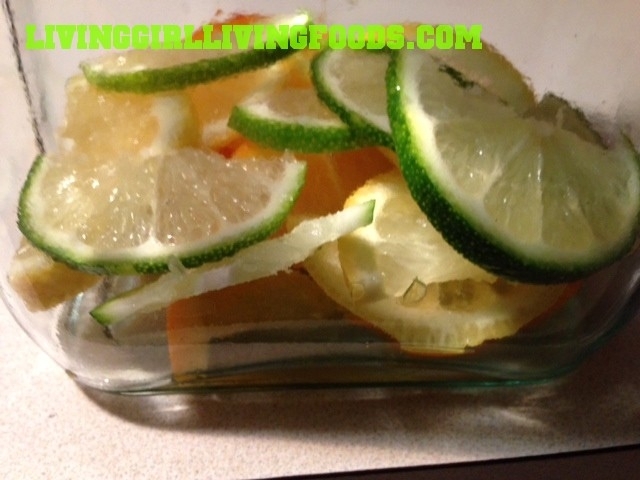 I went heavier on the orange compared to the lime & lemon because that was the flavor I personally wanted. I drank this first thing in the morning 😀 Even when I put the bottle to my face I can mostly smell oranges! 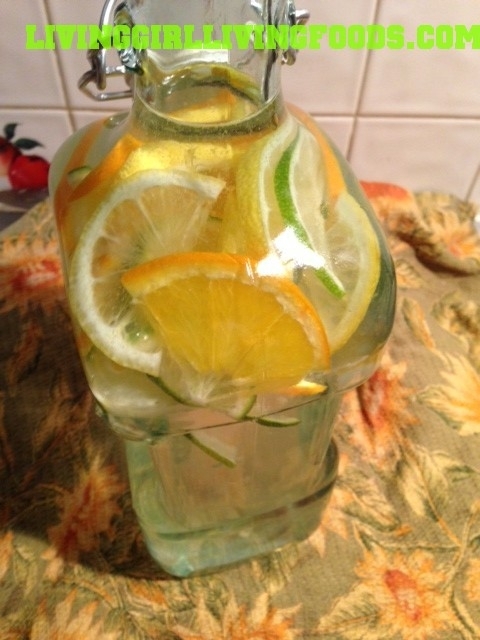 It’s awakening, hydrating and overall citrus fruits personally put me in a better mood. If you are not familiar with steepers and haven’t checked out my steeper recipes before here is a link to my previous posts. Children typically love these because they can have fun adding fruits in themselves and telling people that they made it. The colors reel them in as well as the sweetness. Children’s taste buds LOVE salty and sweet things more than the average adults taste buds. No joke 🙂 So this sweet water may just be the perfect thing for them! 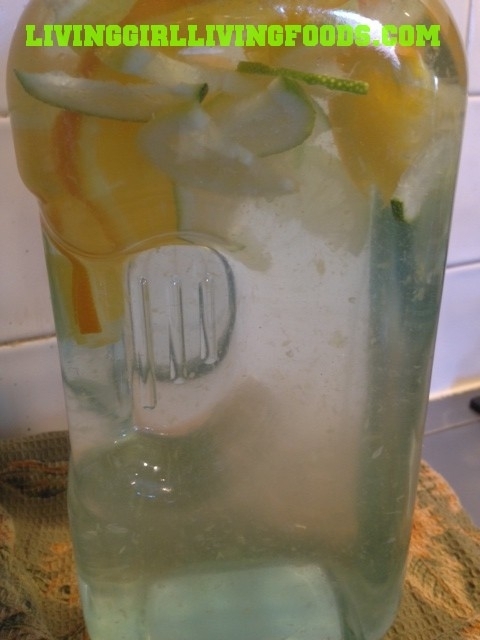 Another great thing is you are still getting the fibers from the fruit, you can eat or juice the items afterwards and you are keeping your body hydrated! If you aren’t sure if you are staying hydrated enough a simple test is checking if your lips are dry, if your mouth is white or dry and if your urine is more on the brown side. *Another option is adding grapefruit or pomelo! I personally like to have this sit in the fridge over night, while I go to sleep, and enjoy it in the morning. This way more fibers are released into the water and it tastes much sweet. The image above is my steeper BEFORE it had the chance the steep. Below is the image I took of the Citrus Steeper in the morning, I went closer so we could all see the yummy fibers.